Evangelism is telling & showing others of God’s message of reconciliation to all people of all time. Down through the ages, the church has made two mistakes when it comes to evangelism. Firstly, it is not forcing people to adopt Church standards (1 Corinthians 5v12) and nor is it simply a message of join the church as a symbol of good works (Ephesians 2vv8-10). God has a message for all people. This message from God says that everybody has sinned against God (Isaiah 53v6; Romans 3vv10-11); nobody can earn their reconciliation with God (Ephesians 2v9); that God sent His Son Jesus to be born, crucified and resurrected so that salvation can be had by all people of all time (John 3v16; 1 Timothy 1v15); Because of that, it is only by acquiescing to God, by faith in Jesus alone that people are saved (John 5v24; Acts 16v31). That is the message of evangelism. Finally, evangelism is also lifestyle! Jesus Christ is to permeate every area of your life! You are a messenger of Jesus Christ, and a message from Jesus Christ, whether you want to be or not! The way you conduct yourself, both in public and in private, shows Jesus Christ to people. The prime motivation for evangelism is out of gratitude for what God has done for you, in that the you love God because He loved you first (1 John 4vv10-12, 14,19). It was this sentiment Paul refers to when he writes, “For Christ's love compels us, because we are convinced that one died for all, and therefore all died.” (2 Corinthians 5v14). When you evangelise, you reflect something of the character of God, because God Himself is a missionary God. Jesus was sent to save the lost and redeem mankind! The Holy Spirit was sent from the Father and the Son! You are called to go! 95:1 Oh come, let's sing to Yahweh. Let's shout aloud to the rock of our salvation! 95:2 Let's come before his presence with thanksgiving. Let's extol him with songs! 95:3 For Yahweh is a great God, a great King above all gods. 95:4 In his hand are the deep places of the earth. The heights of the mountains are also his. 95:5 The sea is his, and he made it. His hands formed the dry land. 95:7 for he is our God. We are the people of his pasture, and the sheep in his care. Today, oh that you would hear his voice! 95:9 when your fathers tempted me, tested me, and saw my work. 95:10 Forty long years I was grieved with that generation, and said, "It is a people that errs in their heart. They have not known my ways." 95:11 Therefore I swore in my wrath, "They won't enter into my rest." Please click the Donate button below to donate to Partakers for this service! Thank you. 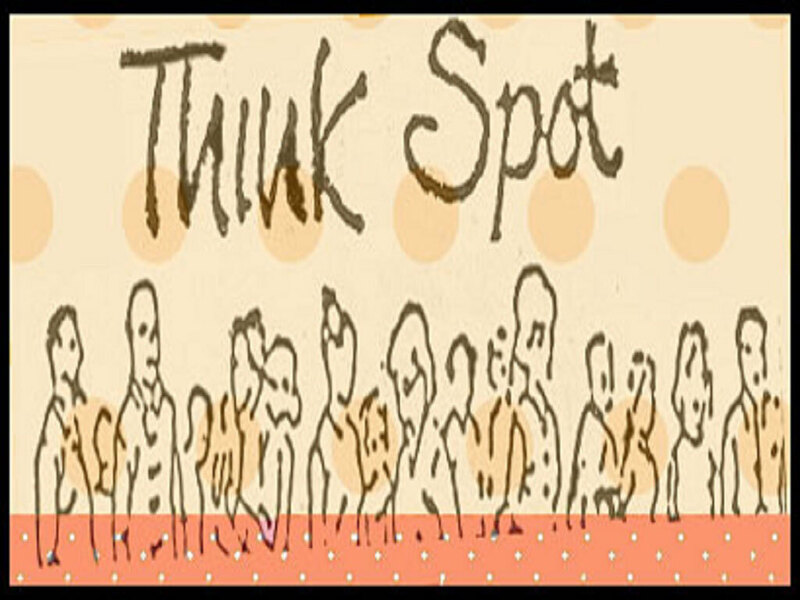 G'day and welcome to Partakers ThinkSpot on Monday, the 27th of February 2012. Play the audio and see how Jim and Joy are challenging you to live your faith out this week! Click the green triangle in the player above to listen to the audio. You can listen here by clicking the green triangle in the player above. Luke continues with his careful introduction to Jesus' ministry. He tells us all about John because John came before, and announced, Jesus. One thing he is going to make very clear throughout his book is that while John was a prophet Jesus was more than a prophet. Luke in 3: 4 - 6 uses Isaiah's great picture of hope in Isaiah 40: 3 - 5, which prophesies the return of the Lord and his people to Jerusalem after the exile, as a picture of the coming of the Lord Jesus to the people of God. John is the voice. Jesus is the Lord. What is your hope? How far does your hope change the way you live from day to day? Where should our hope be placed? Obviously the first part of that question has an individual answer, not an only right one. Our hope should be placed on being with Jesus in his heavenly kingdom and then after our resurrection on being part of his kingdom when heaven and earth meet to form the new heaven and new earth that is our ultimate destination. Second question: the basic message that John preached was 'a baptism of repentance for the forgiveness of sins'. How does this compare with the messages you hear preached these days? Are the differences only because John was preaching before the life and death of Jesus and the preaching you hear is from long after? Or are there differences there ought not to be? Again the answer to that question depends on your situation. The last verse we read: ' the axe is already at the root of the trees, and every tree that does not produce good fruit will be cut down and thrown into the fire.' Is harsh. Third question: in what ways can we see that happening in our day and in our society? Yet another question where the answer depends on who we are and where we are. When you look at the world today and see what a mess it is in because of men's greed and lust for power it hasn't improved much since John's day. When the people asked him how they were to live to show they had truly repented John gave them 4 practical examples in this passage. Two ways they were to look after the poor: giving tem clothes and food. Two ways they were not to be corrupt and to be good and honest in all things: the examples of the tax collectors and the soldiers. Fourth question: if he had been talking to us what examples would he have given? Were his examples, particularly the first two, really practical? (It would not be long before they ran out of spare clothes and food.) How realistic are the examples you think he might have given to you? How well can we follow these examples when we have to live in the real world we find ourselves in? Yet again the answers will all depend on who and where you are. John talked about 3 things: a prophetic warning of coming judgement (flee from the wrath to come... the axe at the root of the trees ...); calling for justice and compassion in our dealings with others (sharing clothes and food ... honesty in all things ... ); and a right attitude to the coming Messiah (accepting the baptism of the Holy Spirit ). Question 5: Different churches major on one or other of the present day equivalents of these.' Which do our churches make the most of? On which do we fall short? Like all the questions on this passage we have to ask ourselves how they apply to us. And I cannot tell you what your answers should be! Psalm 25:14 - The LORD confides in those who fear him; he makes his covenant known to them. 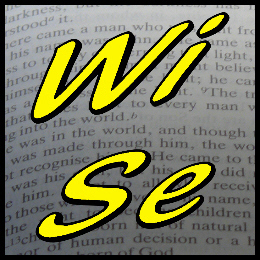 Welcome to Partake WISE. The word for today is temptation. A word every human being who has ever lived, including Jesus Christ, has faced at some point in their life. I don’t know if you have ever seen what appear to be silly safety signs such as this one that I saw on a chainsaw which said “Do not attempt to stop the chain with your hands." That would not be a temptation to me! But that’s what we are facing when we are tempted to sin and disobey God! When you are tempted to disobey God, either in action or inaction, you are not to touch it – just like you wouldn’t try to stop a chainsaw with your hands!! Christian Disciples face constant temptation to disobey God and sin. However temptations are common experiences for all Christian Disciples. God allows temptations, but He will never let you be tempted beyond what He knows you can handle – that’s His promise. And even more, He always provides a means of escape from temptation! (1 Corinthians 10v12-13)! Temptation it must be noted is not sin, or Jesus the sinless one would not be sinless! Rather it is the giving into temptation that is causes us to sin. By dealing with temptation at the very moment it confronts you, you show you are living a life worthy of Jesus Christ. The Bible tells us that as Christian Disciples we face temptation from three different angles: the world, our old nature and satan. Remembering the need to love God with a greater love for whatever tempts us (1 John 2:15). Acknowledging and remembering that sin’s power was nullified by Jesus’ death on the cross (Romans 6:11) and in living under the control of the Spirit’s power (Galatians 5:16). Remembering that you are as a Christian Disciple to be living a moment-by-moment dependence in faith on the Spirit’s power, and make a conscious decision by an act of your will to benefit from the Spirit’s power and assistance. Remember to continue to grow as a Christian Disciple and submit everything to God. If you are growing as Christian Disciples we grow more in love with God, and therefore our desire to sin and disobey Him grows less. Remember that the Holy Spirit lives inside you, and greater is He that is in you than anything else in the world (1 John 4v4). Now that is a comforting thought, because it means we don’t face these temptations alone! So next time you are faced with temptation, pray and ask for God’s help! If you have specific sins that entangle you habitually, ask that the Holy Spirit will help you avoid the temptation! It may also mean that you are to avoid the situation or circumstance where you are being tempted. G'day and welcome to Partakers ThinkSpot on Monday, the 20th of February 2012. Let's go over to Jim and Joy and discover what they are sharing with us today. Over to you, Jim! Its a new week and a new day and you are bursting to tell someone about Jesus. Right? No you say I freeze up and fear. Help!! If there was ever a man who couldn't keep the good news of Jesus to himself it was this man Philip we read about him in the book of Acts. Looking at this man, what do we notice that we can hopefully relate to and learn from his example? Maybe we can follow his example as we prepare ourselves for a new week witnessing for Jesus. We take up the story in Acts 8 Philip the evangelist is having a great time in Samaria making Christ known as Saviour Healer and Deliverer. Philip was saying "listen as I tell you of the all powerful Jesus Christ who can transform peoples lives." As he preached the good news of Jesus the whole city is being turned to God, many miracles occurring and many were saved, healed and delivered from all kinds of demonic influences. Revival was taking place. Philip must have been overjoyed to be there. Philip was having the time of his life. But you know something we can get so caught up with evangelism and the excitement of it where we are, as people around us are beginning to see God in a new light and yes enjoying God, that we easily forget there is a big world out there and God is caring for it and is eager for people of all nations to come to know Jesus and experiencing the joy and peace to be found in Him. So my first thought to share that I see here is that in meeting peoples needs in evangelism God is not only looking at Samaria but always has a much bigger picture in view. God the Almighty who knows everything is all powerful and sees the whole world in one view. He sees every country at the same moment and is working out his plans and purposes in them. So into this chapter and story where Philip is one of the main characters walks or rather rides another important person who is going to play a very important place in God's strategy for converting not another city like Samaria but a larger country called Ethiopia. So God had a plan. It begins with linking up Philip with this important man on his journey to Ethiopia. A man who was although a worshipper of God was desperate in needing help to understanding the good news of Jesus the Messiah as Lord and King. He didnt know the gospel. No one had told him. This man held a very high rank in the Ethiopian governemet. He was the Queen of Ethiopia's treasurer. A man who would have tremendous influence in the nation. He had been to Egypt perhaps for business reasons . But nothing happens by chance inb this world does it? Certainly not as far as God is concerned or His [people.He had spent time at the temple worshipping but lacked knowledge and understanding of the truth concerning Jesus. So how is God going to introduce his truth into Ethiopia? Philip is the chosen vessel to carry the truth to this man as he travels to his home land of Ethiopia in a horse driven royal chariot. Philip is transported somehow into a desert region by God which was on the route the man from Ethiopia is travelling on. Surprised? God knew exactly what He was doing. Isn't He amazing? Wow!! But I wonder if Philip wanted to move from Spring Harvest where it was all happening in Samaria to go to a solitary place. There could have been no bigger contrast. Any objections that Philip might have had are certainly are certainly not expressed in this narrative. You could say Philip had no say in the matter. God simply placed him where he wanted hin to be to serve in the purposes of God. Philip may well have prayed that morning "Lord lead me today to those you want to reach with the gospel. I am willing to go anywhere for you" A complete readiness to go wherever God sends him with this wonderful gospel message! First lesson - BE READY : The Ethiopian is in his horse drawn chariot reading an Old Testament manuscriptfrom Isiaiah53. Philip sees him and hears him reading looking puzzled. Second lesson - BE BRAVE : Philip shows not only he is ready but also BRAVE as he approaches the rich man. Can you imagine it? Two complete strangers meeting and the question asked is "Do you understand what you are reading? Third lesson - BE PREPARED : Philip is PREPARED to teach the man the way to God through Jesus. He wants the man to understand the glorious message of salvation through Jesus. He KNOWS THE SCRIPTURES in order to explain the passage the man is reading from. Philip was chosen to show the man what he needed to see and the man was resding a passage the Lord knew he would be reading to prepare him for his meeting with Philip. God is truly sovereign in all the affairs of the nations and of course here in this desert place. Isaiah 53 is clearly understood by Philip and he goes through this great chapter in our Bibles explaining that the Messiah spoken of here is Jesus. My friends I do not know how well you know this chapter in Isaiah but it is a great chapter of prophecy concerning Jesus and yet his name is not mentioned here. But if "you have eyes to see" when you look in the gospels and see their fulfilment recorded 800 years before Christ the Messiah came into the world It is astounding. Be assured, God's Word is absolutely true and can be trusted without question. So as you witness for Jesus use the tool He used and was so effective with. Not all the stories commonly believed about the birth of Jesus are true to the actual facts. He was born before Herod died in 4 BC ,in Bethlehem, which was not his parent's home village, probably in an ordinary house (the word translated 'inn' can mean a guest room or just the sleeping area in a house; the manger would be between the family area and the livestock area). G’day and welcome to Pauline's Thursday Ponderings! If you're a Christian - forgiving others is not an option. Matthew 6:14-15 "If you forgive men when they sin against you, your heavenly father will forgive you but if you do not forgive men their sins, your heavenly father will not forgive you ." God takes the necessity of forgiving of others very seriously. Notice it does NOT say forgive others if they are sorry for hurting you, or forgive others if you can understand why they behaved in that way. We are to forgive everyone who has wronged us full stop. Peter, who may have been having a problem with one of the other disciples, asked Jesus ' Lord how many times do I have to forgive my brother if he keeps on wronging me?, in Matthew 18:21. "Jesus answered 'Seventy times seven!'" This means that we have to go on forgiving someone who hurts us again and again; no matter how many times they hurt us. Please note that Jesus did not say that if we are in an abusive relationship we have to stay in it and keep on being abused. In Mark 12:31 Jesus said we should love our neighbour as we love ourselves - that means we have a responsibility to love ourselves, which means removing ourselves from relationships in which others are abusive towards us. Forgiving someone means not telling others what they did to us so we can get sympathy. It means doing good things for them, praying for them blessing them. Matt 5:44 says love your enemies and pray for your persecutors. Luke 6:35 "Love your enemies, do good to them" and Romans 12:20 commands "If your enemy is hungry feed him." If someone has hurt you so badly that you find you self replaying what they did in your mind. Try thinking of something kind that the person has done for you, every time their misdemeanour pops into your thinking. If that is not possible then just actively think about something completely different. It will get to the point that you can think of the person without thinking of what they did, though this can take years. Actually, like every other thing that God asks us to do, forgiving others is in our best interests. Being angry with someone else just hurts us - it doesn't affect them. Not forgiving leads to bitterness and resentment which eats away at us from within and can lead to physical symptoms as well. So forgiving others should be a priority if you're a Christian. G'day and welcome to Partakers ThinkSpot on Monday, the 13th of February 2012. Let's go over to Jim and Joy and discover what they are sharing with us today. Over to you, Jim! What a moment? The God of all history in the early days of His creation. 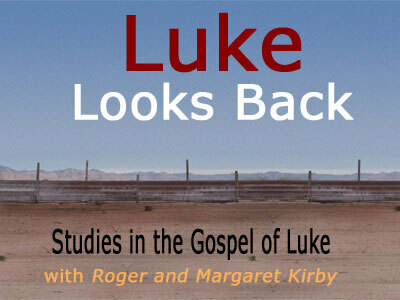 This is the first of a set of studies of the life of Jesus written by a man called Luke. The studies are in the form of sets of questions for a group, or an individual, to think over and discuss. In his first 4 verses written in different, better Greek than the rest of the book, Luke announces what he is going to do. Luke makes it clear he is writing history by emphasising the way in which he has researched the life of Jesus and the surrounding events. The other three Gospel writers write life stories more narrowly focused on Jesus. Luke was writing to a man called Theophilus who, judging by the formal way Luke addresses him, must have been someone rather important. There are many things we should do if we love God. One of those things is to spend time getting to know Him, and one of the ways we can achieve this is to read His Word, the Bible. James 1:22-25 - Do not merely listen to the word, and so deceive yourselves. Do what it says. Anyone who listens to the word but does not do what it says is like someone who looks at his face in a mirror and, after looking at himself, goes away and immediately forgets what he looks like. But whoever looks intently into the perfect law that gives freedom, and continues in it-not forgetting what they have heard, but doing it-they will be blessed in what they do. That's a pretty good promise to be blessed in all you do, but you can't do what the word says if you don't know what it says or understand it. Philippians 2:14-16 - Do everything without grumbling or arguing, so that you may become blameless and pure, "children of God without fault in a warped and crooked generation." Then you will shine among them like stars in the sky as you hold firmly to the word of life. Again you can't hold firmly to the word of life which is God's word written in the Bible unless you know it. Ephesians 6 talks about putting on the armour of God to protect ourselves in the spiritual battle, which we all find ourselves involved. Part of the armour of God and a very important part is mentioned in v17. Again if you don 't know the word of God it is very difficult to quote it at when you need to. I find quoting scripture out loud when I am anxious or fearful very helpful, no matter what the situation. Hebrews 4:12 "For the word of God is alive and active. Sharper than any double-edged sword, it penetrates even to dividing soul and spirit, joints and marrow; it judges the thoughts and attitudes of the heart." The other day I was chatting to a Jehovah's Witness who was door knocking. She mentioned that often she talks to Christians who go to church regularly but don't know their bibles. That made me so sad and I want to encourage you to read your bible more and not only read it but understand it. There are many study aids out there at many different levels to help you, if you can't afford to buy one I'm sure your vicar or pastor would be happy to lend you one of theirs.